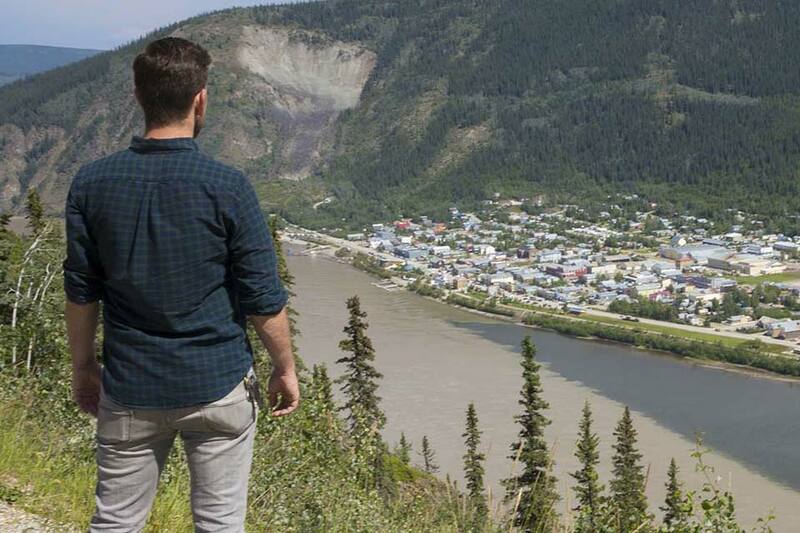 The journey to Dawson never was—and still isn’t– for the faint of heart. 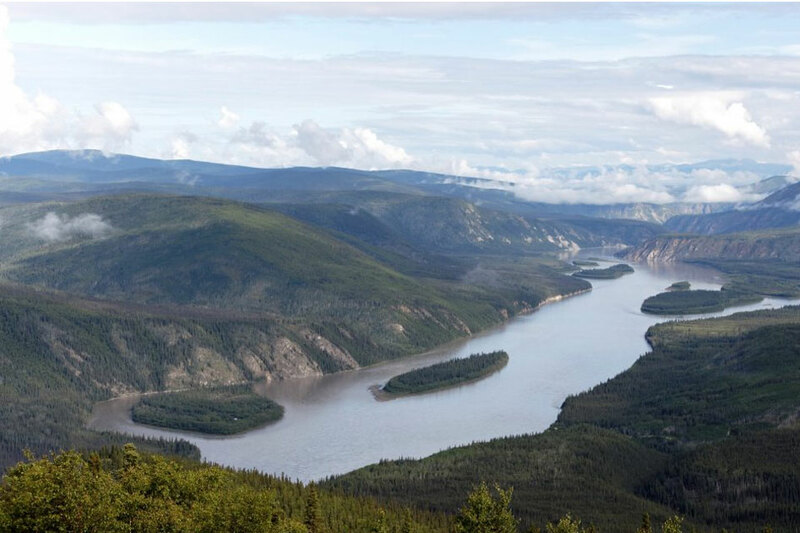 Whether you arrive in your own vehicle after meandering down the impressive Klondike Highway, stepping off the plane from Whitehorse, or stepping out of your canoe after paddling the mighty Yukon River, you will most likely have experienced some sort of obstacle. But don’t let that deter you. Once you arrive here after your long journey (and it’s always a journey getting to Dawson) you’ll understand why people never want to leave. 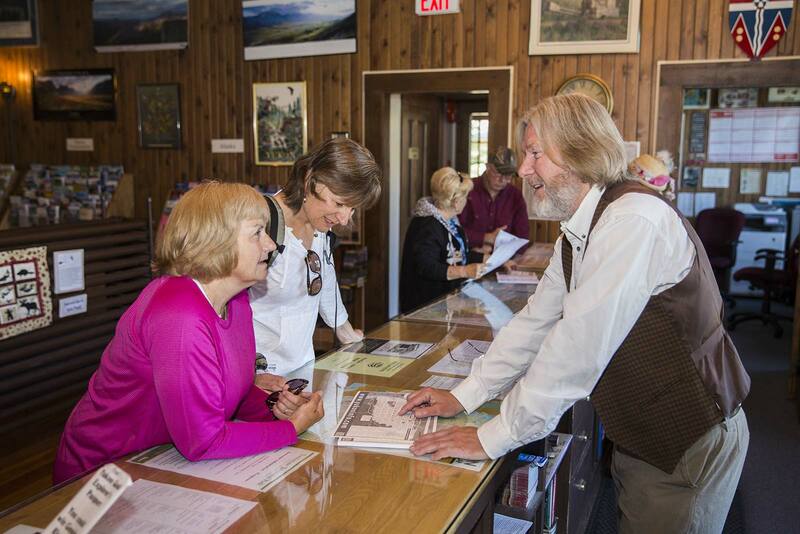 Those who arrived in Dawson during the Gold Rush days were a testament to human strength, endurance and fortitude. 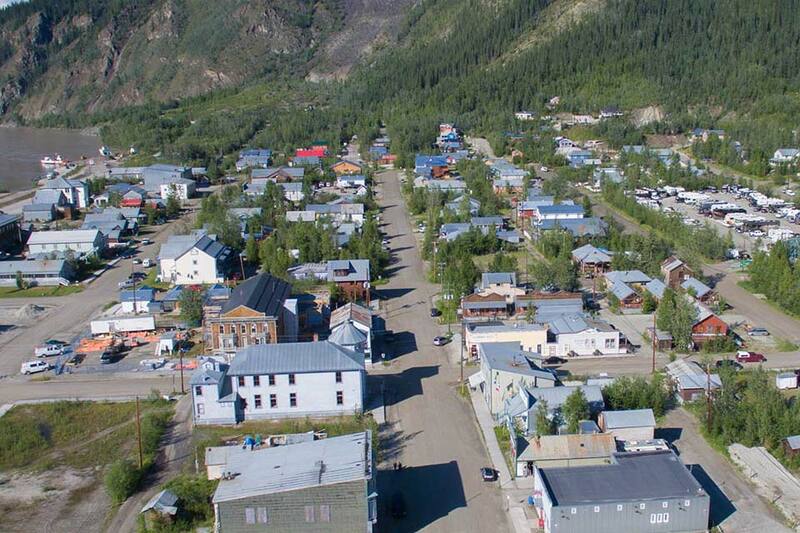 And while today, getting to Dawson is as easy as driving your car down the highway, or hopping on a daily flight, if you still make the journey to Dawson, you can count yourself among those hardy few who never let difficulties stand in the way of their adventurous spirits. Dawson City is named after George Mercer Dawson, director of the Geological Survey of Canada and leader of the expedition that explored the region in 1887, with the purpose of surveying the Alaska boundary at the Yukon River. 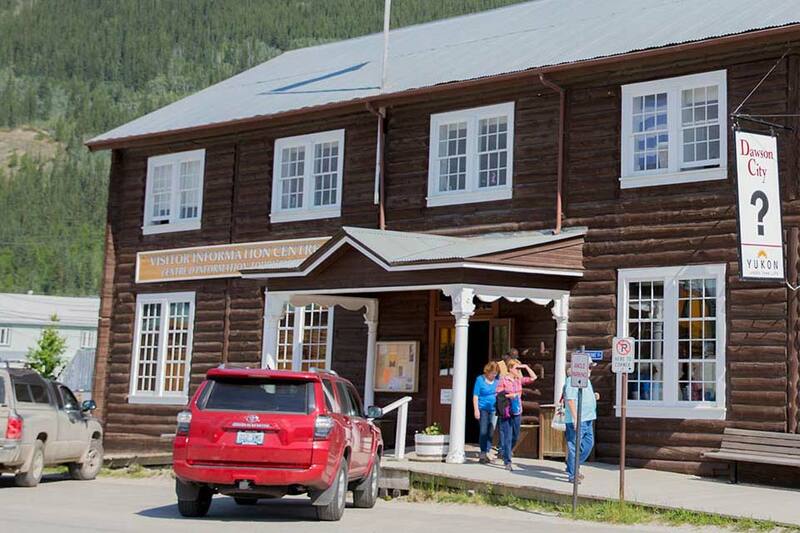 For fifty-five years between the creation of the Yukon in 1898 and 1953, Dawson City was the capital of the Yukon. In only one year– 1900– was more than a million ounces of gold taken out of the Klondike goldfields. At that time is was only worth $22 million. Tex Rickard, who went on to build Madison Square Gardens and start the New York Rangers, worked as a bartender in Dawson during the Klondike Gold Rush. Prices in Dawson were so high during the gold rush, even a nail cost twenty-five cents. Before Dawson’s first bank opened in 1898, everything was paid for in gold nuggets and gold dust, carried around in caribou skin pouches called “pokes”. At the height of the gold rush, Dawson was so cut off and people so hungry for news, that even months old newspapers were auctioned off. Some kind people read their papers aloud in public.